Dance Place was founded in 1980 by Carla Perlo to provide a home for dance artists in Washington, DC, present artists from all over the country, and serve the community with creative programs for young people. 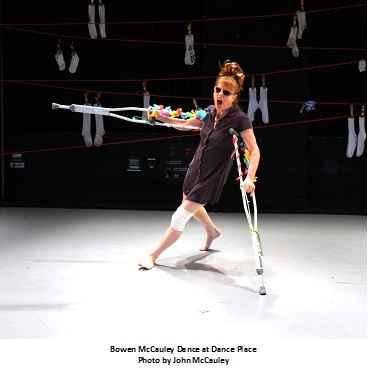 In 1986, Dance Place was forced out of its rental studio and purchased its permanent home in an untested area of DC. As an organization that sits at the intersection of arts, education, and community, Dance Place thrives as a cultural destination in its Brookland neighborhood. Diverse. Since its inception, Dance Place has fostered a broad range of artistic voices that represent artists from different cultural backgrounds, styles/forms of movement, conceptual approaches, traditional to pushing boundaries that reflect the rich representation of our country. Welcoming. Carla and I want everyone to feel welcomed at Dance Place, regardless of age, experience, background, or reason for entering our spaces. From three year olds to 83 year olds, Dance Place should feel like an oasis for creativity. Everyone at Dance Place practices that value - our staff, volunteers, teachers, and artists - so that everyone can immerse themselves in the power of dance. Respectful. Every voice is valued and important - from children to adults. Dance Place teachers help students of all ages find their potential and reject a competitive culture. We also provide intimate opportunities for audiences to meet artists one-on-one to facilitate a deeper engagement with artists and their work. The future of dance is increasingly global with a proliferation of digital, electronic, and other mediums outside of live performance. Dancers from all over the globe are able to connect with one another through travel, Vimeo, Facebook, and many other means of communication to more readily experience each other’s work. This is a wonderful enhancement to the way we work and learn about each other, share approaches, and see what resonates from different corners of the world. Dancers are already very sophisticated at merging the elements of visual, movement, and text based works as seen through the proliferation of installations, immersion, and site specific works. While live performance, in a plethora a venues, will be an essential way to have a direct experience, we will also continue to push the limits of other means of communication and media to share work. We are on the cusp of a dramatic change through the use of electronic devices and advances in technology/communication. 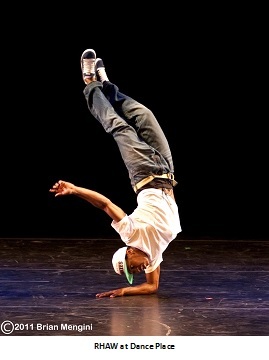 What makes Dance Place unique? Dance Place serves a very broad continuum of participants - from Washingtonians to national and international professional artists to our neighborhood children and families every day! All of these individuals merge and experience each other through the intimacy of our organization and facilities. No one is kept separate or compartmentalized in their own group. We strive for a high level of engagement and interaction by everyone that comes through our doors. Who are some of the dance artists Dance Place will be working with this year, and what about their work inspires you and your staff? In early 2014 we will present a festival format performance at the Atlas Performing Arts Center (during the continued renovation of our theater): 12 of Washington, DC's finest contemporary dance companies. We will also welcome Sean Dorsey Dance (SDD) from San Francisco, CA who is the first out, transgendered choreographer in the U.S. SDD is bringing to Washington, DC a very meaningful work titled: The Secret History of Love. In the spring we welcome back Rennie Harris RHAW and premiere Compania Urbana de Danca, a unique hip hop group from Brazil, for performances and shared dialogue about their approach to dance. Kyle Abraham/Abraham In Motion returns for the third year with a commissioned work which Dance Place supported titled: The Realist MC. Then in summer we return home to our newly renovated facility with a focus on DC Metro area companies. Companies that will experience our new theater will include the outstanding Step Afrika, the only independent, professional step dance company in the U.S., and then our 28th annual Dance Africa, DC festival. Needless to say - we are excited and extremely proud of our 2014 presentations and support of artists. Carla, I and the entire Dance Place staff know that building relationships over time with artists brings the most rewarding partnerships. Whether it's the choreographers and companies based in the DC Metro area, around the country, or overseas, we bring tremendous commitment to helping artists develop their voices and further their careers. We are interested in a wide array of approaches that represent the spectrum of dance around the world.